Where do I find my Voucher #? In order to exchange an experience, you must first register/redeem your voucher. Once redeemed, you'll be prompted to book your original experience or exchange it. If you've already registered your voucher, from your account, click the My Vouchers Tab and click exchange. Simply enter your voucher number above and the system will walk you through booking your experience. You'll be able to exchange and upgrade as well. By entering your voucher number and creating an account, the value of your voucher WILL NOT be depleted until you have formally submitted a booking request. Where does my experience take place? Once you register your voucher, you will see all pertinent information of your experience, including a map of where it takes place. Once your date is confirmed, the full location and contact details of your experience provider will be included in your confirmation email. 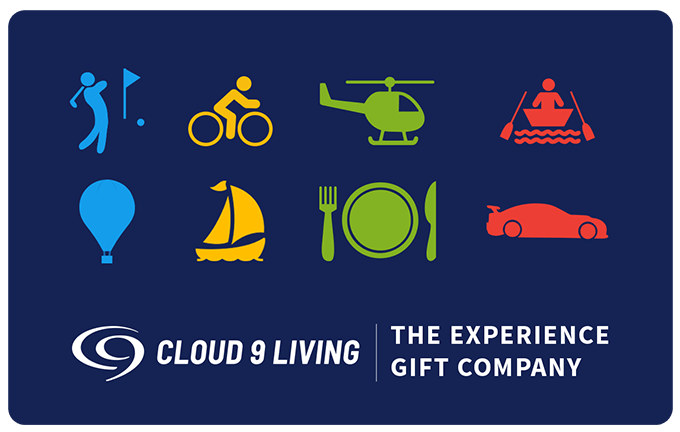 Can I combine multiple Gift Certificates or Experience Vouchers towards one experience? When do I have to book my experience by? If you were given a specific experience voucher (ie: Stock Car Ride Along, Dinner Cruise, Hot Air Balloon Ride, etc) you must submit your booking within 9 months of the issue date. You can, however, choose a date beyond 9 months but will be responsible for any increase in price at the time of booking. Please note, the original value of the voucher will never expire. Will I deplete the value of my voucher when I register it? No. The value of your voucher will only be depleted once your booking is confirmed. We recommend registering your voucher, even if you don't plan on booking right away.